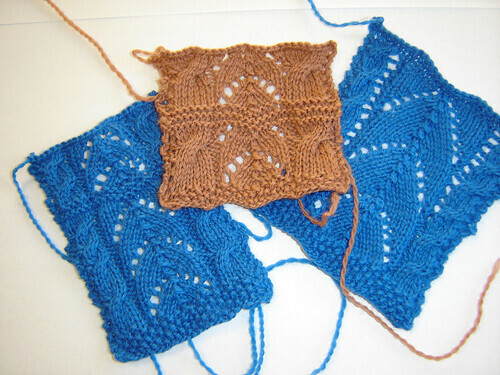 So, those who know me, know that I try to avoid swatching as much as possible. Knitting socks in a yarn other than what the pattern calls for? Eh, wing it! 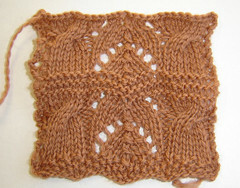 Knitting a scarf or stole or shawl? Why the fuss? They’re not fitted garments. Just adjust as you go! I do make the exception with sweaters though. And in design? In design a swatch is imperative. No corner-cutting there. Well, not usually as often as you may think. 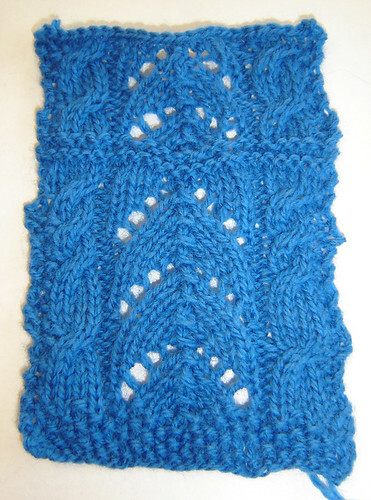 …until finally I get one that works the elements I want, the ease of the pattern repeat, and the size all together in awesome collective cohesion of yarny bliss. In other words, after trying 7 different variations, I’m going back to my original, further instilling that the first instinct is usually the correct one. But all that time swatching is not lost. Out of it came the inspiration for another design. So see? It all works out. So much so, that I’d like to share, my good fortune by holding a contest (lovely segue don’t you agree?) This one will be easy, I promise. All you have to do is to caption the picture below, a la I Has a Hotdog and I can has cheezburger. Double brownie points if you make me laugh so hard I shoot coffe outta my nose. TRIPLE brownie points if you actually yoink the picture and do the photoshopping/gimping yourself. …plus some extra treats and goodies thrown in for good measure. Please either leave your entry in the comments section, or email your brownie-point injected entries to LauraMartos(at)sbcglobal(dot)net. Contest ends 5:00 pm pst, November 7. AND if I meet my KnitScene deadline, I’ll award 2 prizes! I swatch therefore I am. 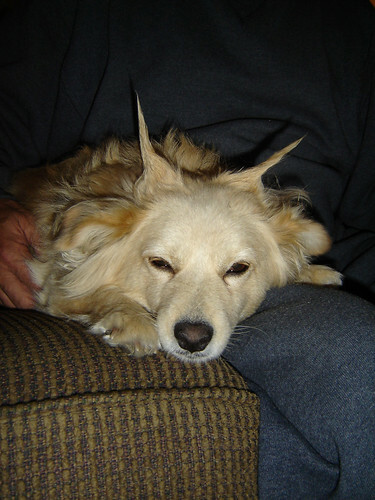 That is the most demonic looking angelic dog I’ve ever seen. 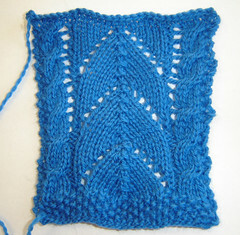 Are you swatching fountain lace patter? From BGW? Pretty. 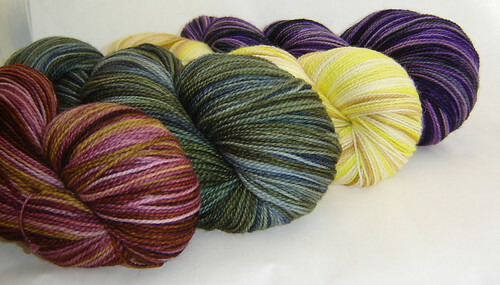 Looking forward to the knitscene! Imprezz me. Haz you started yet? Iz mah best La hangover impression. Hmmm …. thinking cap is on. Can I has a treat NOW?! Basement goggie is tired. Costume of ceiling goggie hard to pull off. You can find mine there. In case you can’t see it it says: Oh hai. I can killz you wid my brain. Lovz the mazzage and pedicure, but can you pleez rinze the hightlightz?